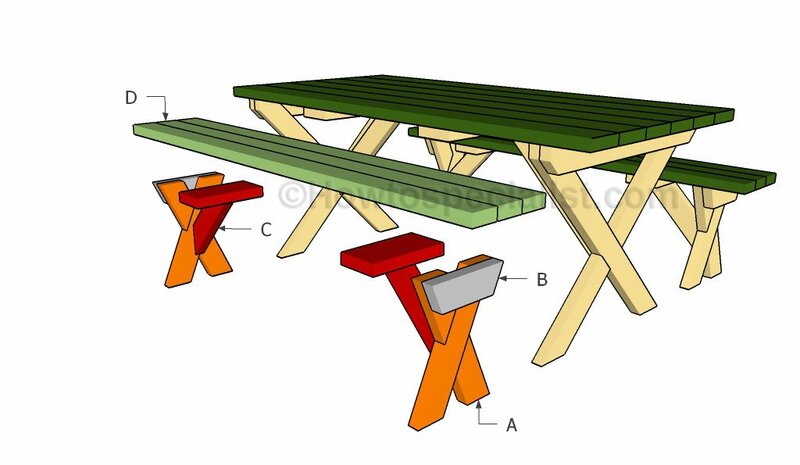 This step by step diy woodworking project is about patio bench plans. 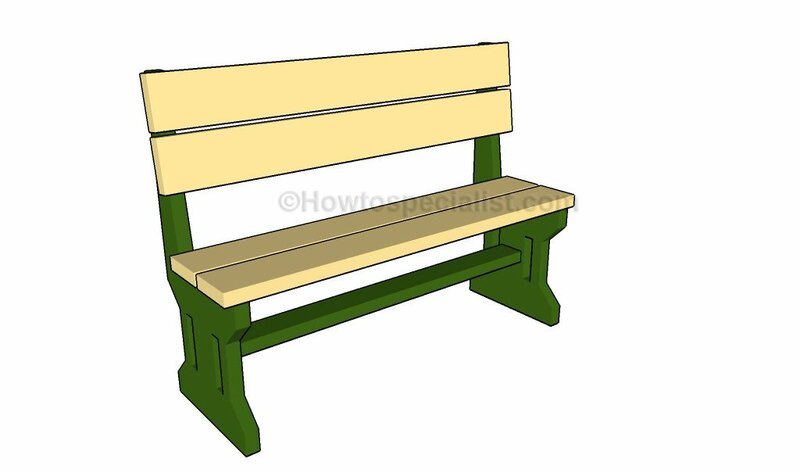 If you want to learn more about building a bench with backrest, we recommend you to pay attention to the instructions described in the article. 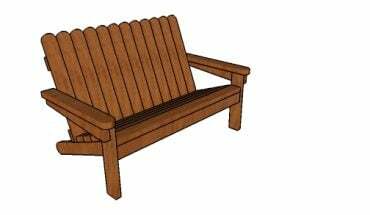 There are so many bench plans and designs to choose from, so make sure you take a close look over the rest of the related woodworking projects that are featured on our website. Before starting the actual construction project, we recommend you to plan everything, as to save money and to keep the costs under control. Adjust the size and the design of the patio bench to suit your needs. In addition, we recommend you to invest in high-quality materials, such as pine, redwood or cedar, as they have a nice finish and are highly durable, especially in a humid environment. The first step of the woodworking project is to build the legs for the patio bench. As you can easily notice in the diagram, we recommend you to build the legs out of 2×16 lumber. Mark the cut lines on the slat and get the job done with a jigsaw. Smooth the cut edges with fine-grit sandpaper and remove the residues. Continue the woodworking project by attaching the 2×6 seat slats to the legs. Cut the legs at the right size and smooth the edges. Drill pilot holes through the slats and insert 2 1/2″ screws into the legs. Make sure you leave no gaps between the components and check if the corners are right-angled. Use a spirit level to plumb the legs before inserting the screws. Next, attach the 2×6 slats to the back rest of the bench. Drill pilot holes through the slats, after aligning them at both ends. Insert 2 1/2″ screws into the back supports and add glue to enhance the rigidity of the joints. In order to enhance the rigidity of the bench structure, we recommend you to fit a 2×4 stretcher between the legs of the bench. Drill pocket holes at both ends of the stretcher and secure it to the legs by using 2 1/2″ screws. Place a spirit level over the stretcher to make sure it is perfectly horizontal. Check if the corners are square and add glue to the joints. Thank you for reading our article about patio bench plans and we recommend you to check out the rest of our home improvement projects. Don’t forget to LIKE and SHARE this projects to your friends, using the social media widgets, if you’ve found it useful.